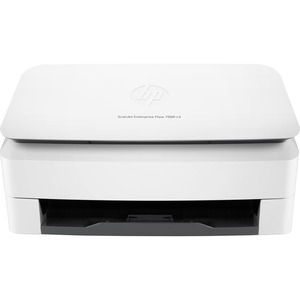 Give your office high-volume scanning performance. Easily download software-including Kofax VRS 5.1 Professional -that helps you save time and capture confidently. Achieve scan speeds up to 75 ppm/150 ipm. Recommended for 7,500 pages per day. 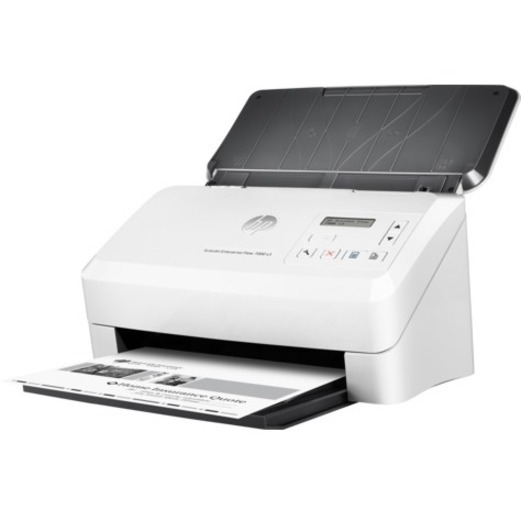 Load up to 80 pages into the automatic document feeder for fast, unattended scanning. Free up space for work. 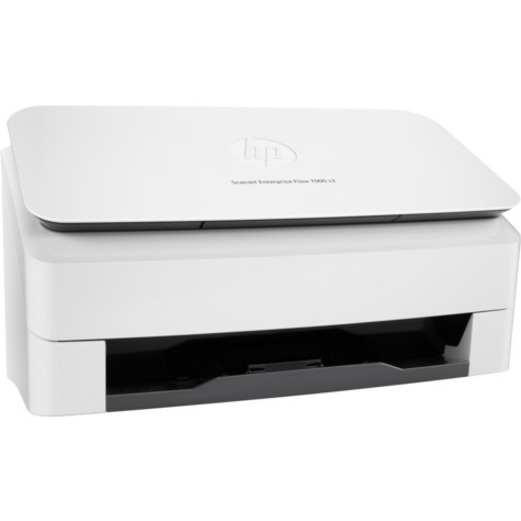 This HP ScanJet is small and slim-a modern design perfect for the desktop. Capture a wide range of documents-even stacks of mixed media sizes and types-with HP EveryPage. Easily transfer scans into editable text, encrypted PDF files, and more file types, using built-in OCR. 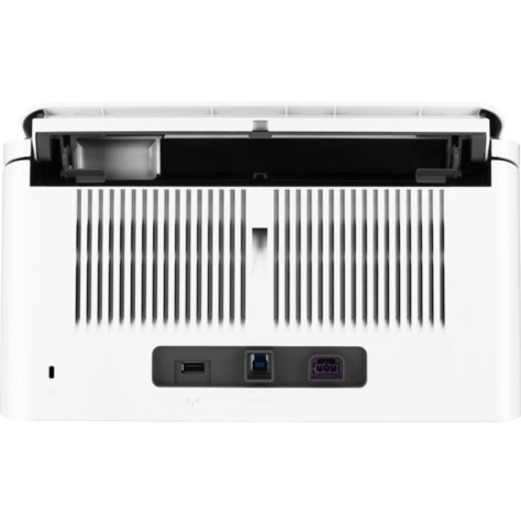 Simplify the way you scan A3-size documents-no need for a carrier sheet. Scan images directly into applications with included and full-featured TWAIN and ISIS®. Capture and organize documents, business cards, and other file types with feature-rich software. Create one-button scan settings for recurring tasks, and make selections using the LCD control panel. 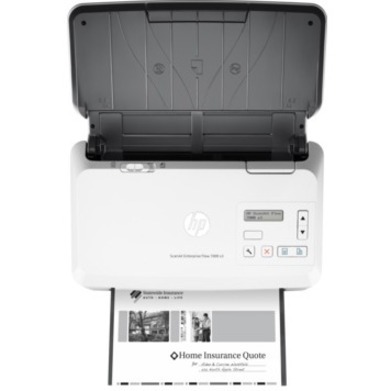 Scan directly to mobile devices with the HP JetAdvantage Capture App, and then edit and save files.